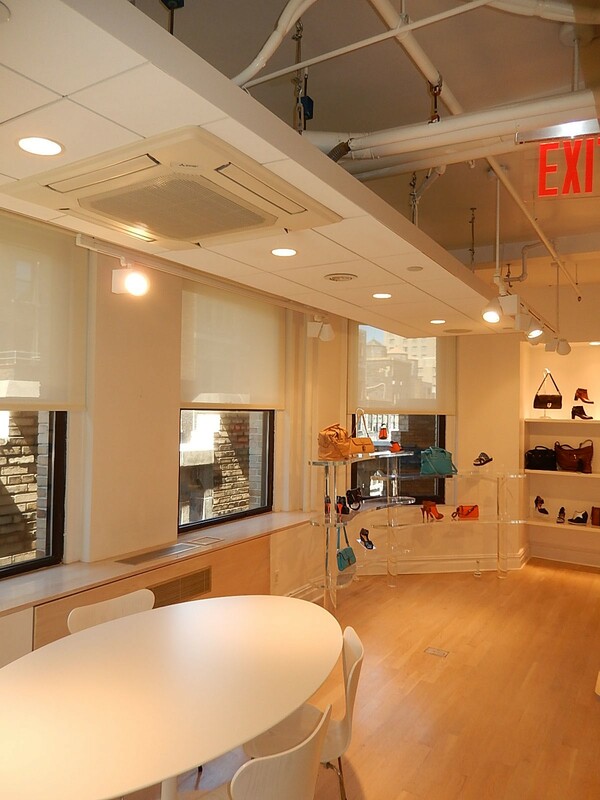 Project Notes: Engineering Services were provided for new heating ventilating and air conditioning system, automatic wet pipe sprinkler system distribution, plumbing distribution for bathrooms and new electric distribution and lighting for the office and showroom space for a women’s wear designer. 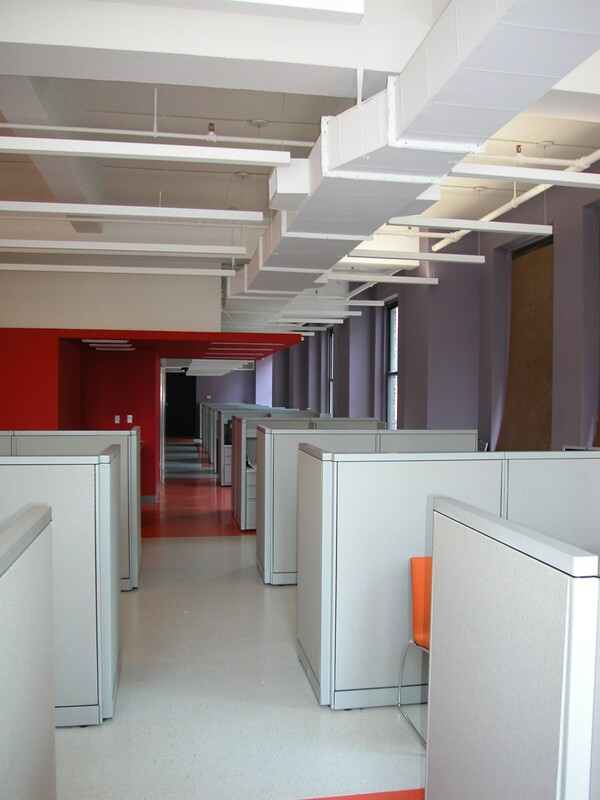 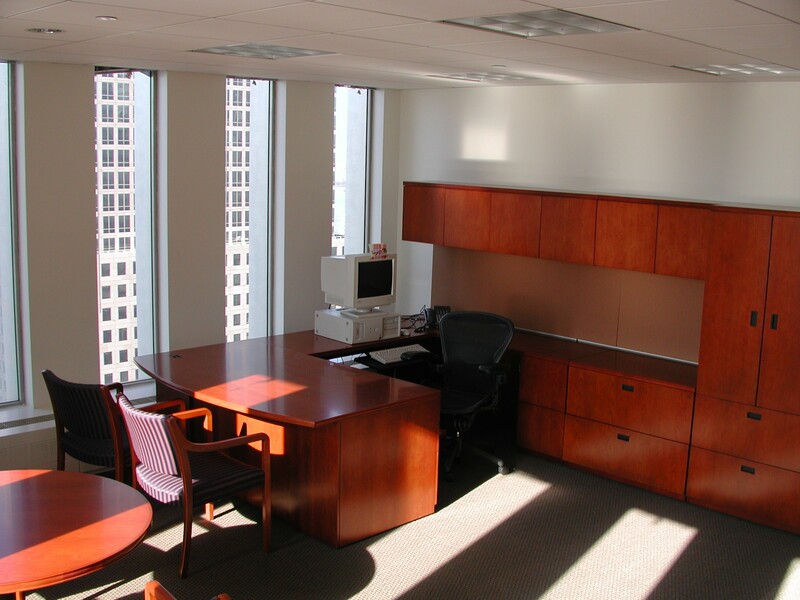 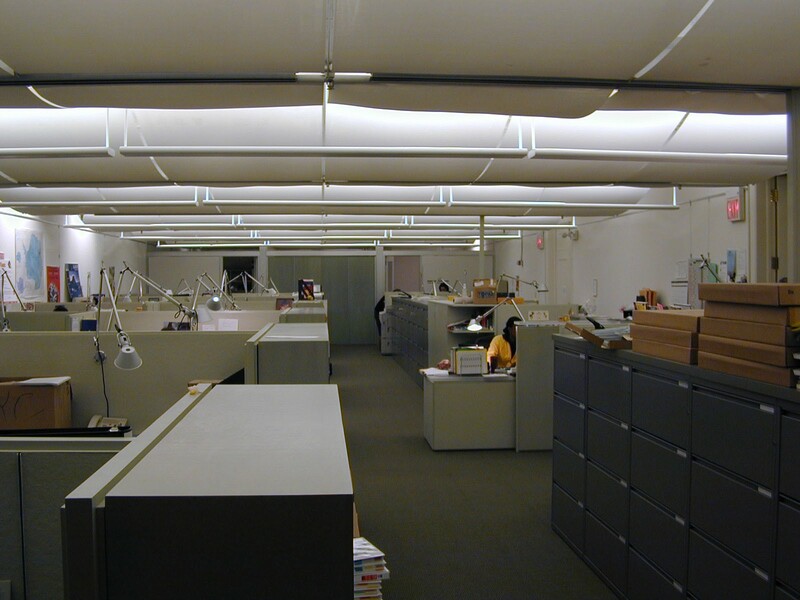 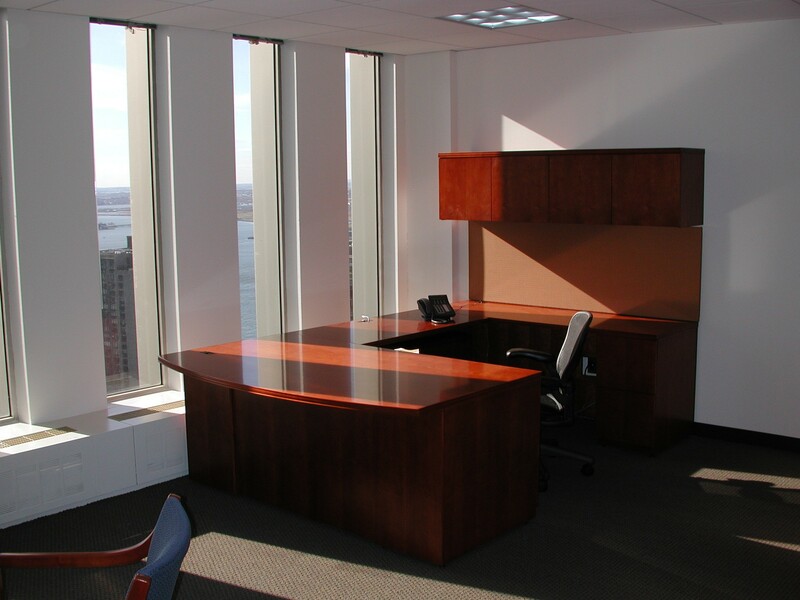 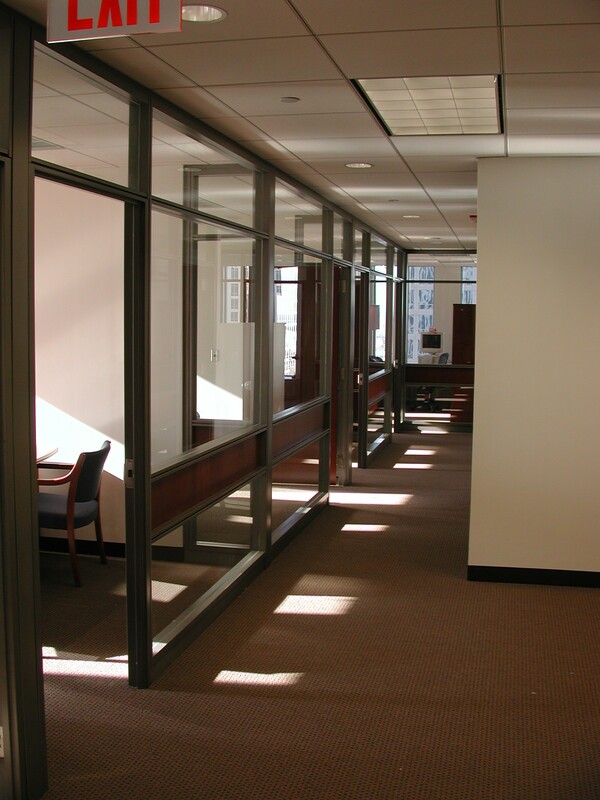 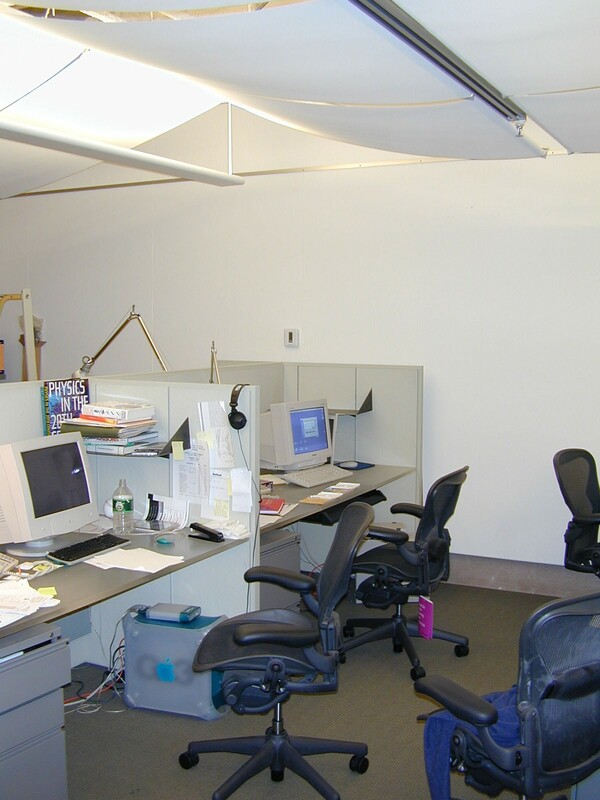 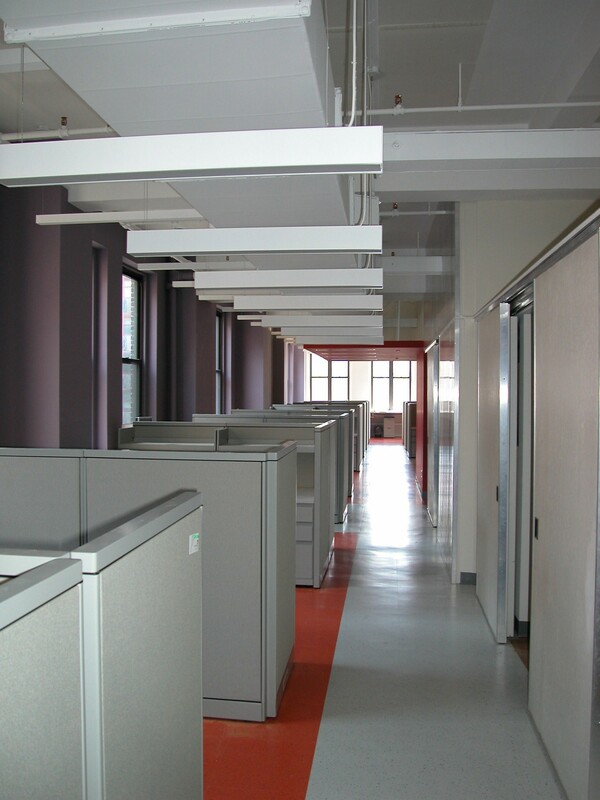 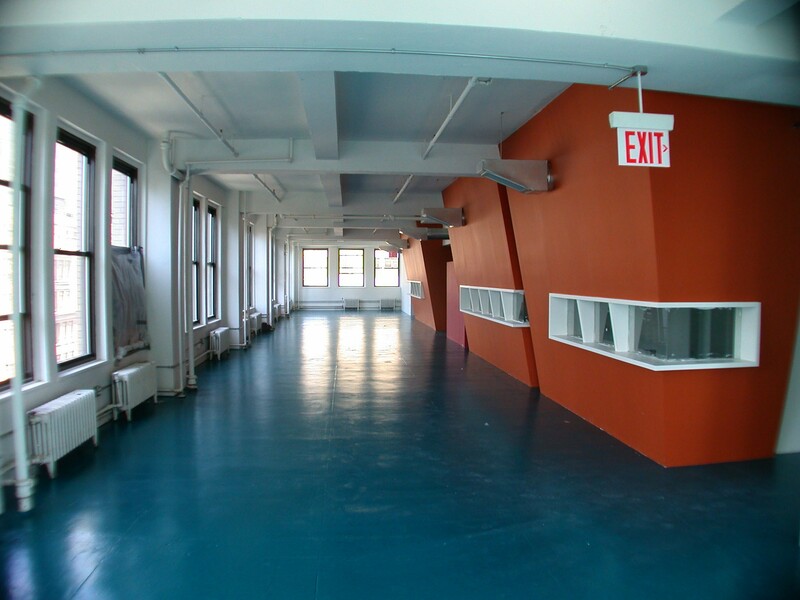 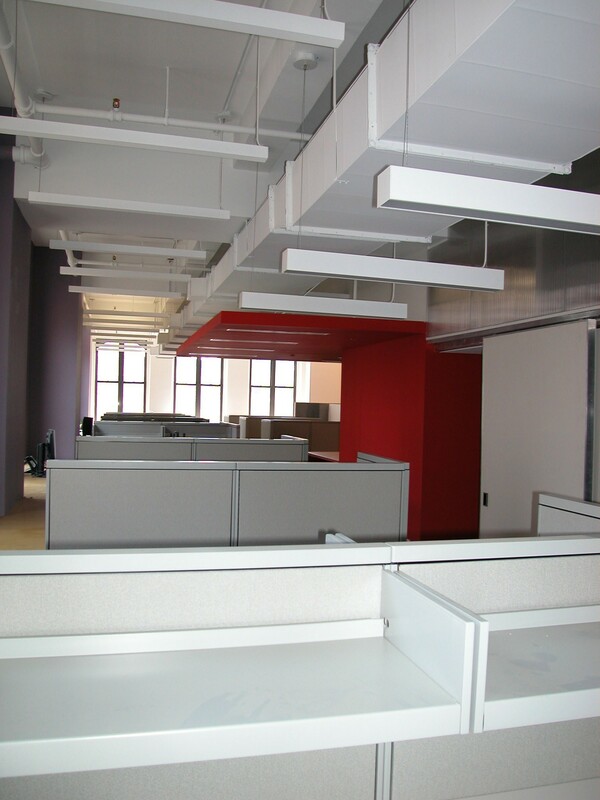 Project Notes: Renovation of commercial office space for a high tech web consulting firm. 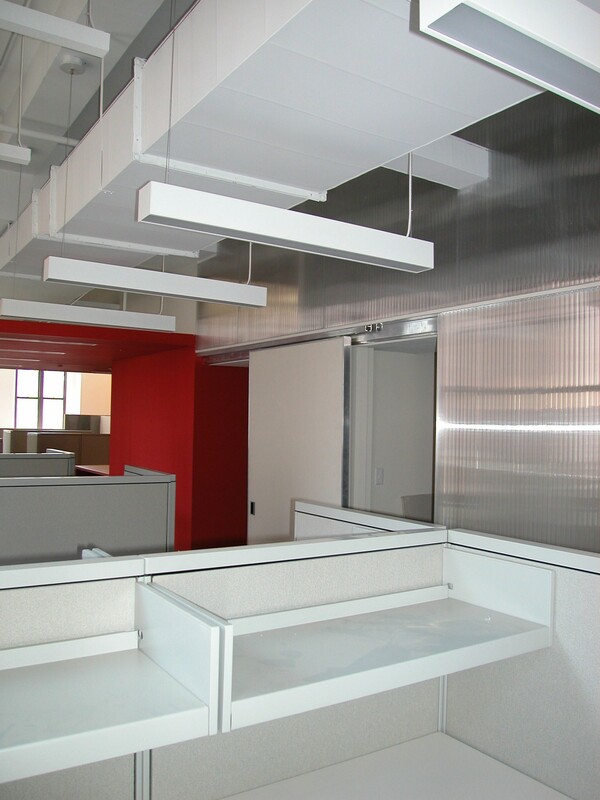 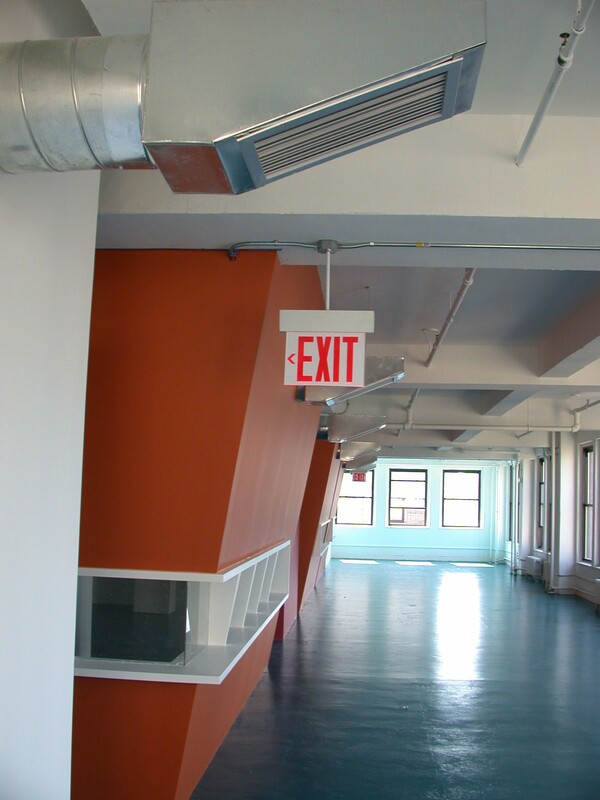 With no ceilings to conceal the mechanical and electrical components and relatively low floor to floor heights, the project presented challenges in ductwork design and coordination with the Architectural elements. 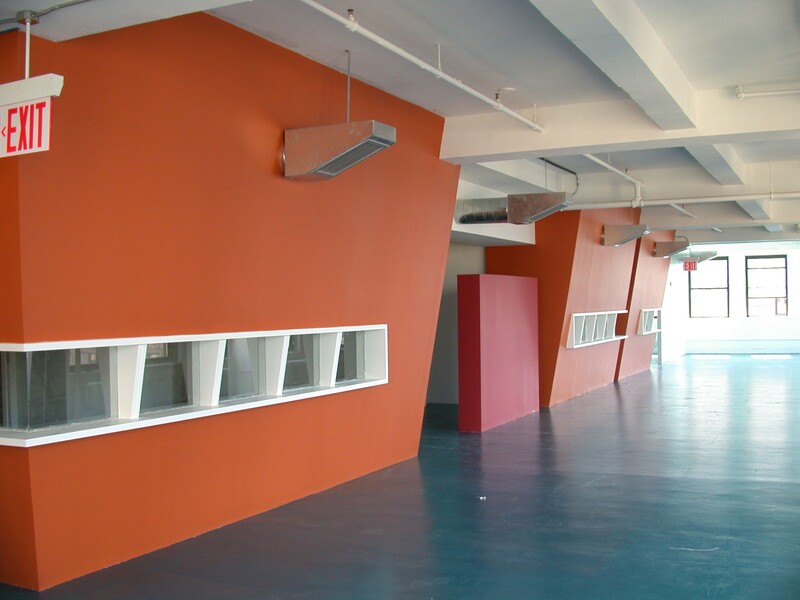 Air outlets were “one of a kind” components designed and detailed by our office to meet the Architectural aesthetic concept.